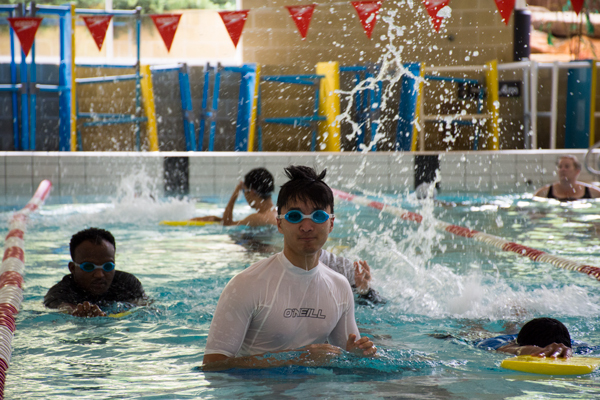 Migrant Resource Centre Tasmania (MRC Tas) is encouraging multicultural youth to get active in the water and build lasting links with local sporting clubs in Hobart through its new program MY (Multicultural Youth) Swim to Sport, as part of its Multicultural Youth Tasmania (MYT) services. MY Swim to Sport, funded by the Healthy Tasmania Community Innovations Grants, is partnering with From Zero to Hero Swim Instructor Nadia Azizabadi to support young people from migrant and refugee backgrounds learn to swim and become involved in water sports and local swimming clubs. Ms Thompson said a key element of the MY Swim to Sport program is offering advice and specialised training to swimming and sporting clubs to build cultural competency. “Young people will be encouraged to sign up to a sport or club and commit to ongoing physical activity. Beyond the life of this program participants will be able to access support from the ‘From Zero to Hero’ project, and those clubs who have participated in MRC Tas training will have greater capacity to support young people from culturally and linguistically diverse, migrant and refugee backgrounds,” Ms Thompson said. From Zero to Hero Swim Instructor Nadia Azizabadi is from a migrant background and learnt to swim after arriving in Australia. Ms Azizabadi said she is passionate about getting people from migrant and refugee backgrounds involved in water sports.